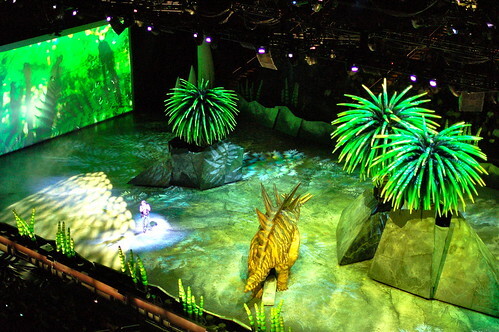 Last week I had the amazing opportunity to see the final engagement of Walking With Dinosaurs the Arena Spectacular at The Staples Center. And let me say that it was SPECTACULAR! 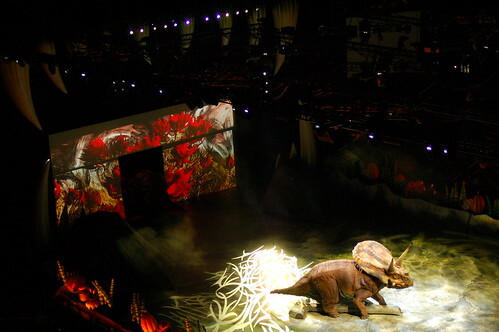 We got to see 10 different species with the ultimate dinosaur, Tyrannosaurus Rex as the show's finale. The show was based off of the BBC Television Series. 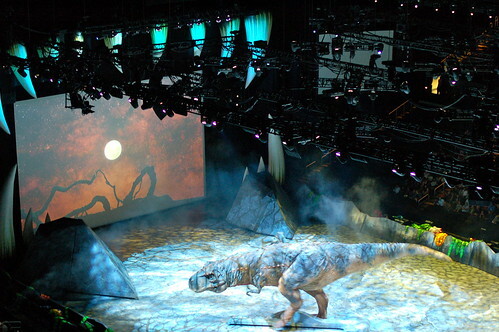 There was a narrator that took us through the different time periods of the Dinosaurs. And told us about how and why the dinosaurs evolved into different species for survival. 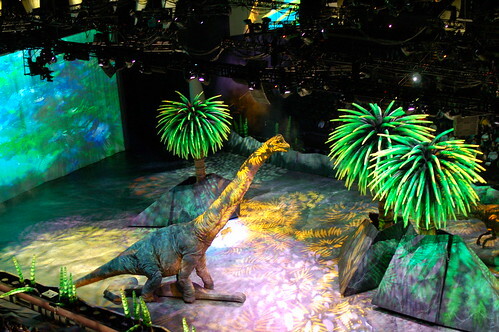 It was really educational, and there was great music and special effects throughout the entire show. It was a great show, and I am so thankful to David for allowing me to attend. Here are just some of the STARS of the evening: BTW their performances were incredible! 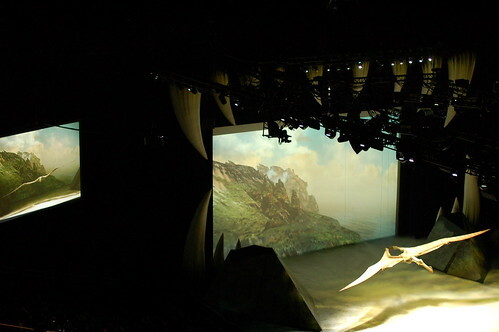 Next in the works for The Creature Production Company, is King Kong - Live on Stage, and also How To Train Your Dragon. Which I am looking forward to seeing both of those shows.